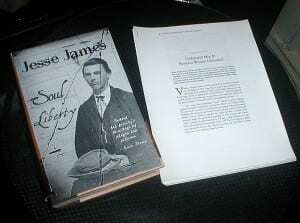 Jesse James Soul Liberty was scheduled to be published on September 5, 2012. Publication now has been delayed. What’s holding up transforming the book’s manuscript into a printed book? It’s the little black box you see here. The box is an external hard drive. Inside the box resides the manuscript & research files for Jesse James Soul Liberty. Also inside the box are the manuscript & research files for succeeding volumes of the book, plus many of the files of the James Preservation Trust. So why is this box now a villain holding up the publication of the book? In mid August, author Eric James had just completed an internet broadcast on HuffPostLIVE. While the lighting was being dismantled, a metal object fell upon the hard drive, lying on the floor next to the author’s computer. When Eric sat down to his computer to upload the final revisions and corrections to the printer for the book and its jacket, the hard drive was found to have been damaged & inoperative. Nothing could be done with the files locked inside. A search was immediately launched to retrieve the files. For several days, data retrieval services were contacted. The bad news is, none of the files might be able to be retrieved. The good news is, all of the files might be retrievable. The further bad news is,the worst cost estimate to do so is $1400. Data retrieval requires a sterile, antiseptic laboratory environment, exceuted by highly trained technicians. The printing company was contacted next, to retrieve the proof files for the book and its jacket. — Enter Villain #2. The printer’s electronic files should have taken only a day or two to be delivered, so final corrections could proceed. Following ownership verification, a cd of the files was mailed. However, the private delivery company delivered the cd to a wrong address. A week lapsed, in which the cd was not found or retrieved and another was issued. Finally, the cd arrived at Cashel Cadence House. The corrections were filed, and everything now is back on track. Pre-orders for Jesse James Soul Liberty will continue. It will be early October before the book is available from vendors & stores. Pre-orders will be the first books shipped, prior to availability in the stores or with vendors. Meanwhile, the search continues for a more affordable, but reliable, data retrieval laboratory to recapture the manuscripts for Soul Liberty’s succeeding volumes and everything else the offending villainous hard drive possesses. Researching my book was twelve years of fun that seemed never ending. Four more years of writing the book was like working in a heaven of my own making. Every day a multitude of historic people came to life, just for me. All of them long gone, I never had known them personally before. Working together, they gave me their all. My spirit was blissful. We were the tightest. But now, all the people from history who emerged from my research boxes have turned against me. Today they are making my life a misery. I’m in editorial Hell. And they are pissed. 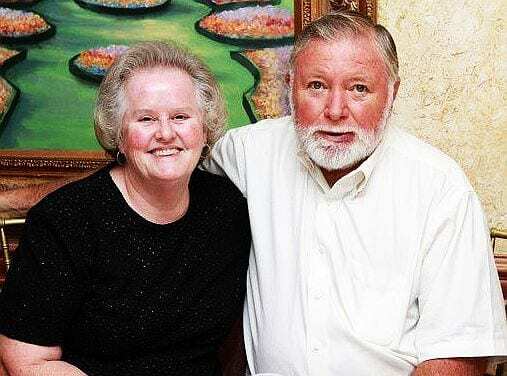 First, they begged me to tell their stories. And I did. Story followed story. One book became two. Now, two books will become three, then four, and maybe even five books. If I live long enough to write all five books, I still will never be able to tell all of their stories contained in my boxes of research. They and I both realize my editorial dilemma. Every day, they whine. They plead. They stomp their feet. They insist I tell every detail of their lives. I respond, telling them I can’t. A book has its limits. Even five books have a limit. Still they’re pissed. In these photos, you can see how I’ve incurred their wrath. My problem right now is to reduce everything I’ve written into the size of a book that is no more than 150,000 words. That alone is one big book, but still readable with plenty of substance to enjoy. 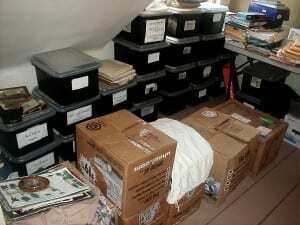 You see my numerous boxes of research. 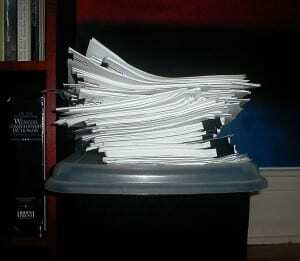 Next you see the total raw manuscript for my book that must be edited to size. Next you see the edited manuscript as it’s reduced to the desired size of the printed book. Finally, you see the mock-up of the book cover and interior layout. I think my book is looking pretty good. 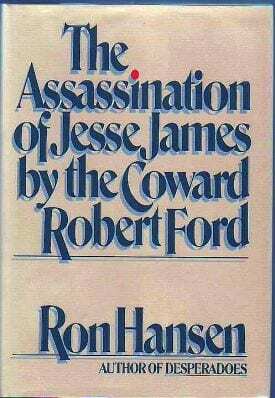 But never underestimate the power of the Jesse James family to confound expectation. Those dead people are pissed. 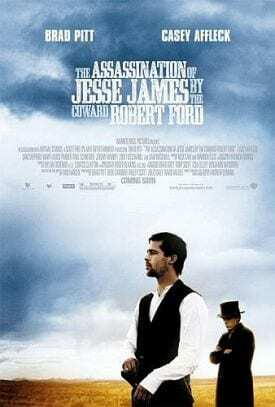 For 125 years the family of Frank and Jesse James did everything they could to keep their story from public view. Now, with the book almost ready for publication come spring, they’re pissed because the book isn’t a tell-all, but is rather a tell y’all. Go figure. It’s beyond me. I’ve surrendered. I’ll leave their story up to your judgment. 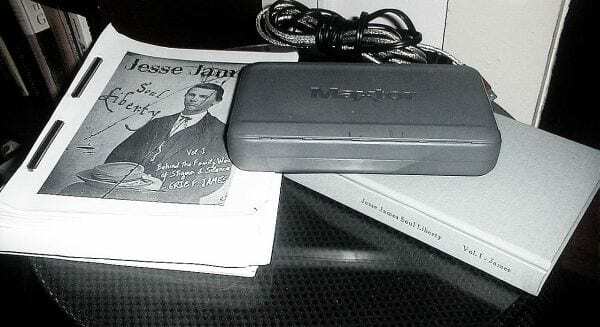 When you’ve read Jesse James Soul Liberty for yourself, I’ll bet you’ll be dying to get inside all my boxes of research, just to see all the history that’s been missing for so many years.